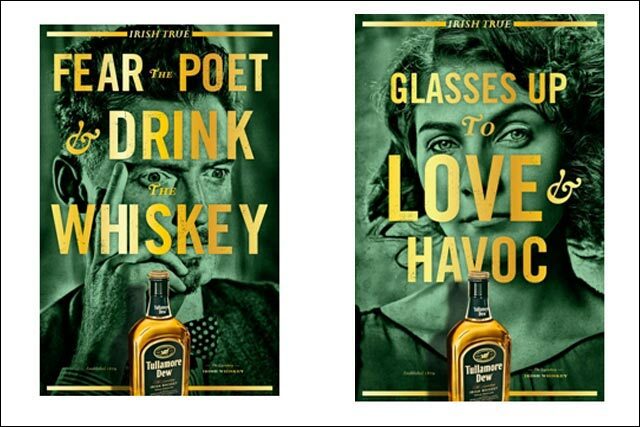 William Grant & Sons is rolling out a new global ad campaign for Tullamore Dew as part of a wholesale revamp of the Irish whiskey brand. The TV and print campaign, created by McCann Erickson, features striking images and charismatic characters, in a bid to evoke the spirit of the Irish. The campaign, which breaks this week, will introduce the strapline "Irish True". It will be followed by new packaging next year. Shane Hoyne, the Tullamore Dew global brand director, said: ‘We want to establish a different definition of ‘Irishness’ – as something that people can relate to the world over and something that is rooted in the incredible spirit of the people. Tullamore Dew – the world’s number-two Irish whiskey brand – is one of the fastest growing Irish whiskey brands, almost doubling sales since 2005. The multimillion-dollar investment has been prompted by the brand’s rapid growth, driven largely by increased consumer demand for Irish whiskey in the US and emerging Irish whiskey markets, such as the Czech Republic and Germany.